Troy Klingler displays his new Ohio record northern pike. 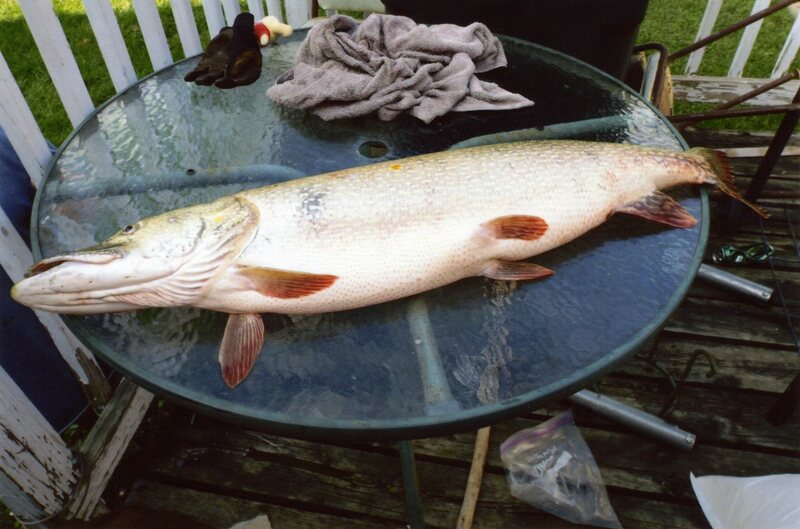 A new Ohio record Northern Pike has been certified by the Outdoor Writers of Ohio State Record Fish Committee. The new Ohio record northern pike, weighing 22.78 pounds, was caught by Troy Klingler of Stryker, Ohio in McKarns Lake*, located in Williams County, Ohio. Klingler caught the northern pike September 24, 2016, using a Berkley Crazy Legs for bait, on a casting rod with 12 lb test monofilament. Klingler’s northern pike is 45 inches long and 19 inches in girth. Lyre Lake by Chris Campbell on October 3, 1988 weighing 22.38 pounds and measuring 43 inches long. Ohio’s record fish are determined on the basis of weight only. 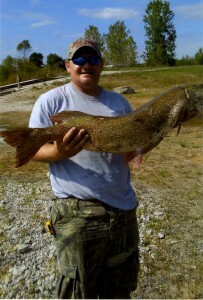 Ohio’s state record fish are certified by the Outdoor Writers of Ohio State Record Fish Committee with assistance from fisheries biologists with the Ohio Division of Wildlife. 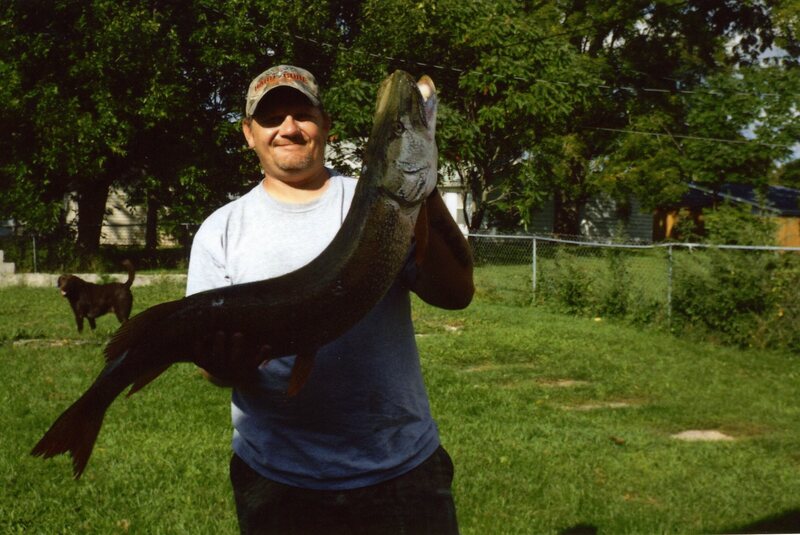 Fisheries biologists Bryan Kinter and Ed Lewis from the Ohio Division of Wildlife District 2 office confirmed the identification of Klingler’s catch as a northern pike. FOR PRESS ONLY – Troy Klingler can be contacted at 567-239-5240.